Today I'm going to answer a question that I'm asked over and over again and. It is a super great question to ask and I'm really enjoying answering it. Here's my very first official answer and that is that there is no perfect amount that I can apply to everyone. It is very individual. However, I'm not going to leave you hanging there. I'm actually going to explain to you how sleep works so that you can understand what your perfect amount of sleep is. Let’s look at sleep and its structure. Sleep is not just one big chunk. It is actually different cycles. Four to five cycles actually. Every night we will go from cycle to cycle. One cycle lasts around 90 minutes in a grownup. In babies, a sleep cycle is 45 minutes, which is why you can very often really set your clock to the 45 minute mark when your little baby is going to wake up again. That is very normal. 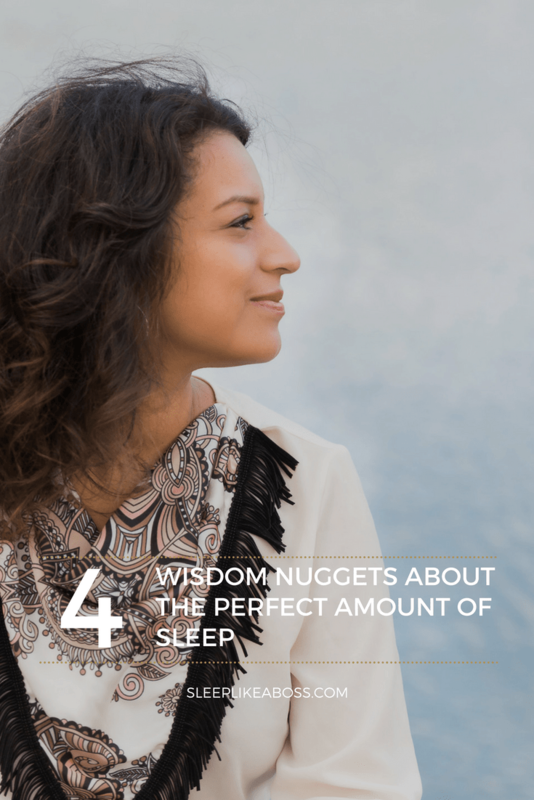 The cycle gets longer and when we are finished growing it's going to be 90 minutes and usually most of us have between four and five sleep cycles, which means that for most of us, 7.5 hours are most likely what we need. But again it is individual. 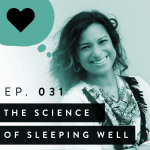 Why is it important to understand these sleep cycles? It's very simple. Each sleep cycle consists in sleep phases. We differentiate between the three main sleep phases. The first sleep phase is light sleep, which is when you are half awake, half asleep and it's really easy to wake up out of that light sleep. The second phase I want to talk about is deep sleep and deep sleep is arguably the most important sleep phase, because in deep sleep is when most of the repair happens; when our cells are being repaired, when our brain is being flushed out of toxins and basically where the body gets in full reparation mode. The last phase is our REM sleep, rapid eye movement. That is when we are dreaming and our dreams are important to help us psychologically to deal with anything that has upset us or with anything we didn't quite figure out during the day. The reason why your sleep is different is because between the sleep cycles, it might be that you wake up for a little bit longer time. Other people just connect cycle to cycle and they just have what appears to be a long chunk of sleep or the way that they can perceive it. All of us do wake up between sleep cycles. 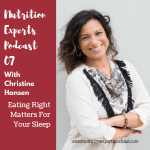 However, people who are challenged to connect sleep cycles have something that interferes and very often what I see happening, is that these people get a little rush of adrenaline or cortisol, very often due to inflammation in their gut. This might seem like a stretch that's why I'm really inviting you to watch my free video series, where I'm explaining all of this in detail; but that would be why for example, you wake up in the middle of the night and can't fall back asleep. In general, most people have 5 sleep cycles and it takes them seven and a half hours. It is said that anyone needing between six hours and around nine hours is considered to be "normal". Less than six hours of sleep is actually exceptionally rare and it has been attributed to a genetic defect. A lot of people actually think that they need less than six hours of sleep and they kind of have themselves trained to get less than six hours of sleep and they survive on less than six hours of sleep and function, but actually they are never completely truly rested. That's unfortunately the case for most of these people. It's actually only up to 2% who have that genetic mutation which allows them to sleep less. On the other hand, if you're sleeping more than nine and a half hours or up to nine and a half hours and you still feel absolutely tired, then that would also be something that I would look into, because then you would be dealing with something like chronic fatigue or maybe your thyroid is not completely up to speed or your hormones might be imbalanced. Check out my free video series to learn more about that in detail. That's when I would go and get an opinion either in a sleep lab or get all the rest of your elements checked to find out why you don't have that energy. My answer is that you can use a technique, which is basically reverse engineering and it is a good idea to actually do that when you are on holiday or when you don't have too much stress going on. Step 1. You will consciously sleep deprive yourself for at least five days. 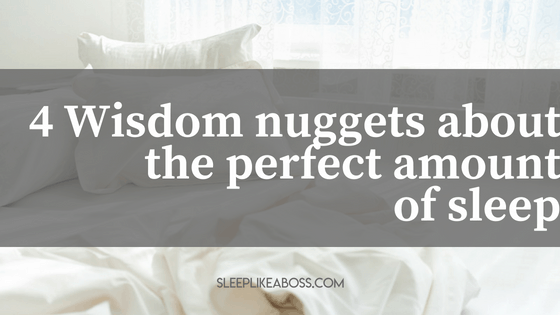 That means you consciously try only to get four or five hours of sleep, in a way that you absolutely know that you are sleep depriving yourself. What will happen after a few days, is that your body will understand it will not get more sleep and it will start to consolidate those sleep cycles. It will pack them together to be more efficient, because your body is incredibly smart and it's going to take what it needs. Step 3. You calculate when you have to get up, minus the hours of sleep that you need. For me, I need seven and a half hours of sleep. If I have to get up at 7:00 AM, my bedtime would be 11 PM. I have half an hour to get ready, really ready, to fall asleep. I really leave myself 30 minutes to fall asleep and that would create a perfect window. If you get up at the same time every day, your body is going to get used to it and after a while you will wake up naturally at that time, which is the best way to wake up. Why is waking up naturally the best time versus having an alarm clock ripping you out of sleep? If you have an alarm clock, chances are that a lot of the times it's going to rip you out of deep sleep. You can imagine a gap between sleep and being awake and the smaller the gap is, the less tired you will feel. So getting out of light sleep to being wake is much gentler, than going from deep sleep to being awake. That is why an alarm clock can be counterproductive as it is ripping you out of deep sleep, so it's shooting cortisol through your body, which makes you wake up with a super high adrenaline and cortisol level and that can then crash leaving you even more tired 5 to 10 minutes later. Waking up gently is just a much better alternative. Let me know if you have any further questions; I would love to answer them. I will talk to you soon.